Can Rural America Rise Again? This blog post is the second in a weekly series throughout July examining opportunities in different sectors of America’s diverse economy. 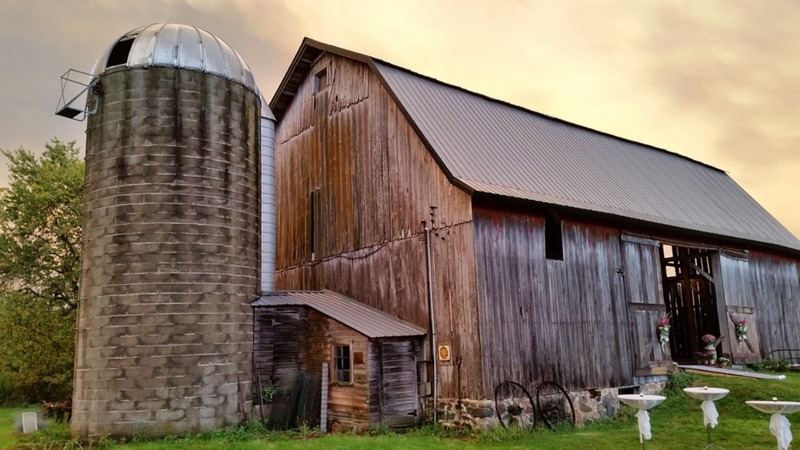 Farms, small factories and other buildings often sit abandoned in America’s many rural communities. Image from Pixabay. Nearly one in five Americans live in rural areas, which still comprise the majority of the country’s land area. Yet many communities are facing demographic challenges as young people relocate to urban areas. Diversification is important to the revitalization of the nation’s heartland. From California’s Central Valley to the Great Plains states, some 62 million Americans live in rural or frontier areas, defined as areas outside of urban centers with no more than 2,500 residents. Though about 80% of U.S. land is rural, rural America is losing population for the first time ever, as interest in retirement in rural areas wanes among baby boomers and younger people continue to relocate to the cities in search of jobs and education. While most states are gaining population overall, rural counties in much of the nation are in such decline that governments are considering student loans and tax incentives to prevent the depopulation of some areas. The population decline in rural America obscures the fact that American agriculture is generally doing well, despite a smaller number of farmers than ever before, due to mechanization. U.S. agriculture exports totaled $115 billion at the beginning of the decade, creating a positive trade balance for this sector of the American economy. Agriculture still accounts for slightly more than half of the nation’s total land area, with California, Iowa, Texas, Nebraska and Minnesota making up the top five states by agricultural output, according to the 2012 Census of Agriculture, which is issued every five years. Mihaylo Lecturer Randy Hoffman utilized digital technology to create a hybrid accounting course with a nearly 25% improvement in student outcomes. Randy Hoffman, the Mihaylo accounting lecturer who created an innovative hybrid managerial accounting course, received the Outstanding Accounting Educator Award for 2016. Accounting coursework may be difficult, but with a well-designed course, most students can pass the prerequisites that may otherwise act as roadblocks to graduation. Mihaylo Accounting Lecturer Randy Hoffman recognized that the 57% pass rate in ACCT 201B – Managerial Accounting, was too low. Working with Accounting Department Chair Betty Chavis, he designed a hybrid model in which lecture notes, transcripts and study aids supplement in-classroom instruction. The new concept has lifted the pass rate to 80%. Hoffman’s recognition by the California Society of CPAs this year was for contributions to accounting demonstrating excellence in either teaching or research over time. But it wasn’t the first time the course received industry acclaim. In August 2015, Hoffman, Chavis and Accounting Lecturer Glen Hatton received the 2015 Jim Bulloch Award for Innovations in Management Accounting Education from the American Accounting Association for the improved pass rate. For more on the course, check out this story from CSUF News. For more on Mihaylo’s accounting programs, visit the Department of Accounting online or at SGMH 4313. Students from University College of Northern Denmark (UCN) pose at Cal State Fullerton’s College Park on June 28. From left to right: Mark Kleis, Jakob Hansen, Mads Bønnelykke and Kristian Bach. At far right is UCN faculty member Anders Bønnelykke Jensen. Mihaylo College not only provides study abroad opportunities to its students, it also hosts international exchange students, who visit campus to get a firsthand look at the U.S. business climate from the perspective of the West Coast’s largest accredited business school. This summer, the college hosted students from University College of Northern Denmark (UCN). Southern California and Denmark seem to be worlds apart. Denmark’s entire population of 5.6 million is nearly equal to the combined population of Orange and Riverside counties. The country is a leader in democratic socialism, providing its citizens with tax-supported college, health care, child care, medical leave and retirement pensions. A member of the European Union (EU), Denmark still uses its own currency – the krone. While less than the size of Southern California in land area, Greenland, the world’s largest island, is also part of the Danish Realm. During their stay from June 19 to July 2, the exchange students heard from Mihaylo faculty with lectures on entrepreneurship, the American economy, financial management, entertainment management and marketing. They got a firsthand look at the local economy with tours of the Kimberly-Clark Corp. in Fullerton, the Anaheim Packing District, Northgate Gonzalez Markets in Anaheim and Sonder LLC in El Monte. They also visited top tourist attractions, including Santa Monica, Universal Studios, Griffith Park, Hollywood, Beverly Hills and Downtown Disney. They experienced a taste of home during their visit to a cultural fair at the Danish Lutheran Church and Cultural Center in Yorba Linda. Some students planned excursions of their own after the study tour ended, including trips to Las Vegas and the Grand Canyon. The students were impressed by the opportunities afforded by the diversity of Cal State Fullerton. “I believe you can gain from the variety of cultures here, as there are a lot of students from all over the world,” said Jakob Hansen (finance). For more on CSU Fullerton exchange programs, visit International Programs and Global Engagement online or at UH 244. For more on international business programs for Mihaylo students, contact the Center for International Business by calling 657-278-8264 or visit SGMH 3357A. 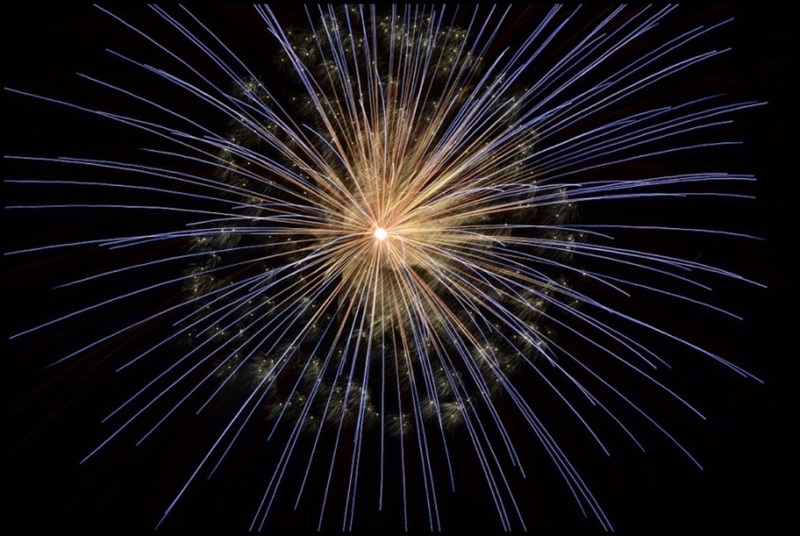 In honor of Independence Day this month, this blog post is the first in a weekly series throughout July examining opportunities in different sectors of America’s diverse economy. 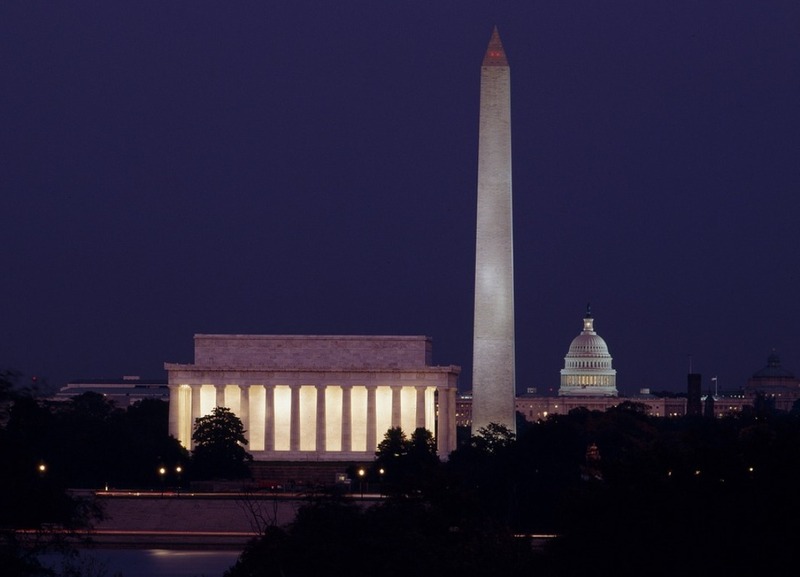 Washington, D.C., may be the hub of public employment in the U.S., but positions are available in all 50 states and overseas. Image from Pixabay. Including local and state governments and federal agencies, more than 20 million Americans work in the public sector in jobs ranging from law enforcement agents to museum curators. While hard-hit by the Great Recession and subsequent decline in local government revenues, there are still thousands of jobs available. “Thanks for your service. What you do is important. It matters. You defend our country overseas, you deliver benefits to our troops who earned them when they come home, you guard our borders, you protect our civil rights, you help businesses grow and gain footholds in overseas markets. You protect the air we breathe, and the water our children drink, and you push the boundaries of science and space, and you guide hundreds of thousands of people each day through the glories of this country.” That’s the tribute President Barack Obama paid to the nation’s millions of government employees in his remarks on the reopening of the federal government following the government shutdown in 2013. The U.S. public sector has come a long way from the handful of administrators who helped form today’s Cabinet-level agencies under the George Washington presidency. Today, more than 20 million Americans work in the public sector, but the majority do not work for the federal government. Instead, they are employed by the individual state governments or the nearly 40,000 municipal governments across the nation. A poster supporting Brexit from the European Union in Belfast, Northern Ireland. It notes that funds being spent on the EU could be used at home in the UK. Photo from Wikimedia Commons. Few believed that they would actually go through with it. 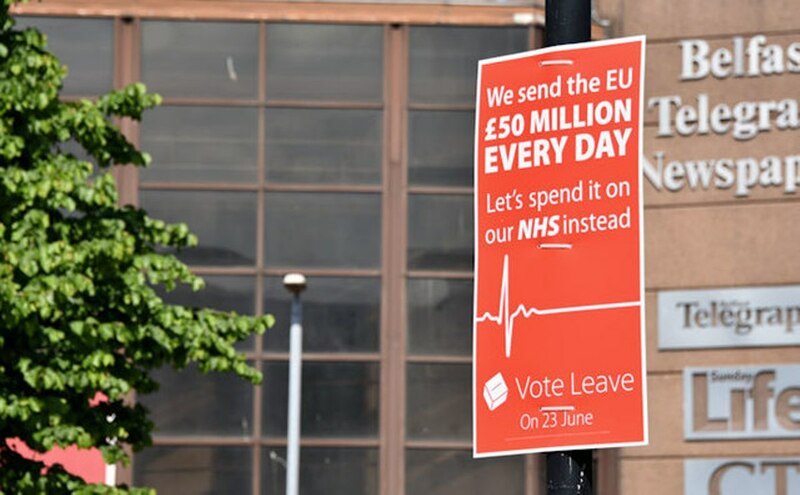 But last Thursday, British voters chose to become the first nation to leave the 28-member European Union in a referendum that many believe will have worldwide repercussions. The results are already visible on financial markets, with sharp declines on Friday and Monday. Since the end of World War II, integration has transformed the once-warring nations of the European continent into the world’s largest free-trade area. In 1999, the European Union (EU) debuted the euro currency, which quickly became one of the world’s leading currencies and, many believed, a prototype for regional unions in other parts of the world. Yet on June 23, voters in Britain dealt a severe blow to the EU and globalization generally, when nearly 52% of the electorate there voted to leave the union. The next day, stock markets around the world fell as much as 8%, while British Prime Minister David Cameron chose to resign rather than lead his country in an unprecedented exit from the regional bloc. When the predecessor organizations of the EU formed in the 1950s, Britain was not part of the European unity movement. It was not until 1973 that Prime Minister Edward Heath took the UK into the union. Video conferencing platforms such as Skype offer the ability to speak with people around town or around the world from the comfort of your own home or office. It is a great tool for job or informational interviews. Here are seven tips on how to maximize virtual meetings as a career tool. Video conferencing platforms such as Skype and Google Hangouts are great tools for job interviewing – they let you speak with professionals from around the world and often make interviews easier to arrange, since meetings can occur amid people’s everyday activities, wherever they are in the world. Yet users need to be aware of the unique concerns of virtual interviewing. 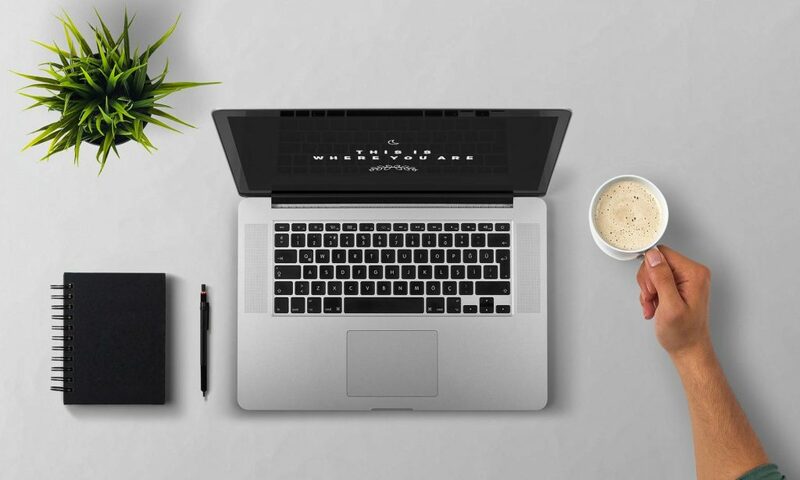 Following are seven tips to maximize your virtual meeting, based on information from Kuru.com and TheMuse. An interview shouldn’t be held in your clutter-filled garage or your messy bedroom. Find a view that will exude confidence and professionalism and won’t distract from the interview. Make sure the area behind you is uncluttered and clean because this will be a clear focal point of the people interviewing you and you don’t want any distractions. Choose a well-lit area where plenty of light hits both the wall behind you and your face, avoiding any shadows. Definitely pick somewhere quiet to avoid any unwanted noise. Almost every city in Orange County offers a Fourth of July event featuring fireworks and an afternoon fair. Photo from Pixabay. Class is out and the weather is hot, but the dog days of summer need not be boring. There are plenty of fun things to do in Orange County. Looking for a fun and low-cost way to spend an afternoon or evening this summer? Check out these eight events within an hour of campus. Now through Oct. 27, Downtown Fullerton hosts the Fullerton Market each Thursday evening from 4 to 8:30 p.m. Enjoy live music, international food vendors, arts and crafts, locally-grown produce and a beer garden. Immerse yourself in Vietnamese culture at the sixth annual Little Saigon Night Market at the Asian Garden Mall in Westminster. The market is open from 7 to 11 p.m. on Fridays, Saturdays and Sundays now through Sept. 4 and will feature authentic Southeast Asian foods and crafts. Last year, as many as 3,000 people attended each evening. 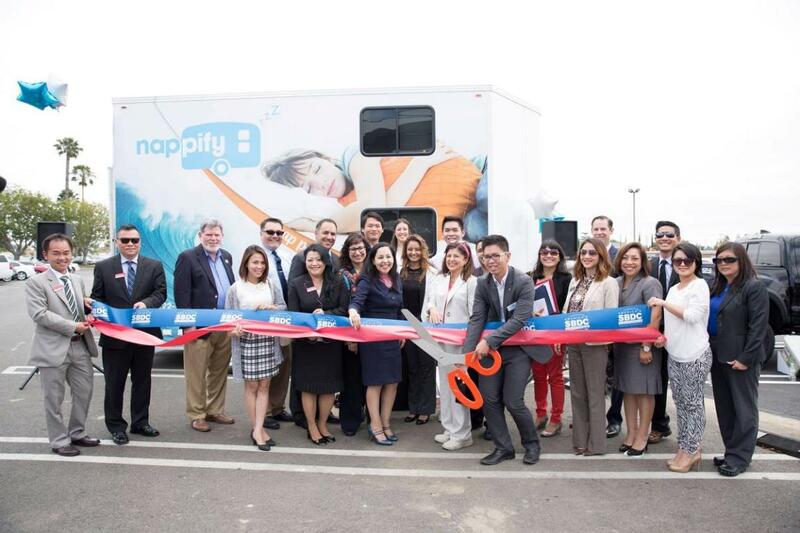 The first Nappify mobile trailer opens at Santa Ana College during spring semester examinations in 2016. Photo from Nappify. How can workers retain their productivity during long work days? Mihaylo MBA alumnus Kevin Pham ’12 believes a power nap is key to improving work performance. He has launched NappifyTM, a mobile sleeping-pod business to enable employees or students to take naps amidst their work shifts or studies. According to the Centers for Disease Control and Prevention (CDC), sleep inefficiency is a major public health problem. Work schedules and 24/7 access to technology are major hindrances to working adults achieving the full eight hours of rest recommended for each day. Nearly 30% of adults report getting less than six hours of sleep per day in the National Health Interview Survey. The consequences can be serious: Lower work performance and even falling asleep on the job, including while using machinery or driving, impacts one in three workers. While many workers have turned to energy drinks as a solution, studies have found that such beverages can raise blood pressure and provide only a temporary boost of energy at best. Mihaylo MBA alumnus Kevin Pham ’12 recognized the need for rested workers as an innovative business concept. In 2014, he founded Nappify with $100,000 crowdfunded chiefly from friends and family. The startup involves mobile nap pods in a modified trailer that includes a lobby and four air conditioned soundproof sleeping pods. Nap sessions of 45 minutes cost $13 for employees and $7 for college students. Where Do Business Students Get Their News? 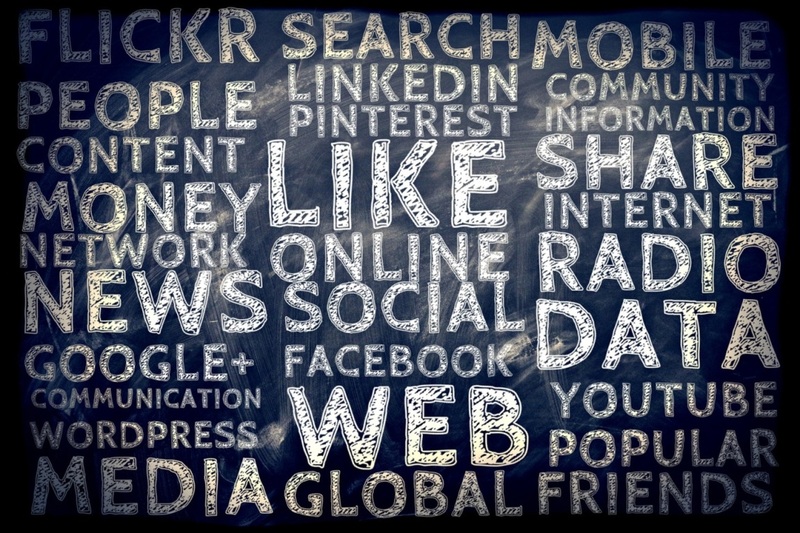 Web, social media, blogs, TV, radio and print are just some of the news sources available to today’s business students. Studies show that students rely on digital media, including social networks, yet traditional journalism sources are not dead. Image from Pixabay. Today’s economy is constantly changing, and there is an unprecedented array of news sources available to monitor developments. What news sources capture the attention of business students? What sources provide the most accurate and dependable content? Business students have to digest a lot of news to stay abreast of the latest developments in the global economy: the latest trends in marketing, the performance of the stock market, the newest revolutions in information technology, and, of course, keeping up with the top memes and Snapchat stories. Meeting the challenge are a dizzying array of news sources, including the digital and traditional content of media giants such as CNN or The New York Times, trade publications and Web 2.0 content, such as social media and blogs, which according to Technorati account for several million posts daily. To better understand the media habits of business students, the education consulting firm Southwark Consulting surveyed 130 marketing students at the University of Delaware in 2014. Not surprisingly, they found that mobile devices are the most commonly accessed Internet-enabled devices. 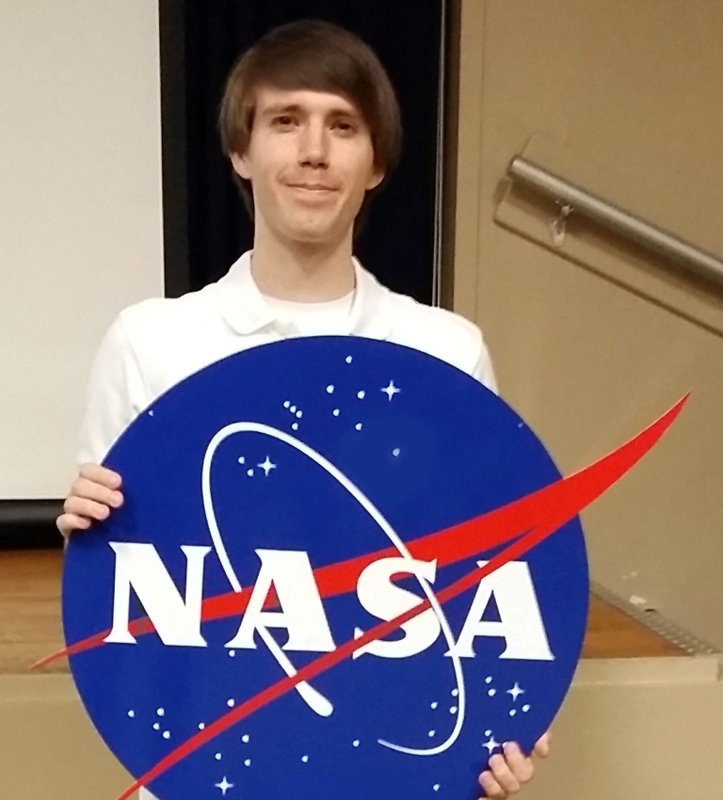 Mihaylo international business alumnus Christopher Stewart’15 displays the NASA logo. His internship at the Johnson Space Center involves the development of driver-less technology, which can be utilized for space missions and commercial automobile manufacturing. Mihaylo international business alumnus Christopher Stewart ’15 hopes that his internship at NASA’s Johnston Space Center in Houston will launch his career, which combines business education with engineering goals. In March, Stewart began an internship at NASA’s Johnson Space Center, involving the design and creation of self-driving vehicles. NASA and commercial manufacturers have been collaborating on the development of driverless technology that can be used for passenger vehicles as well as space vehicles for planetary missions to Mars and elsewhere in the solar system. 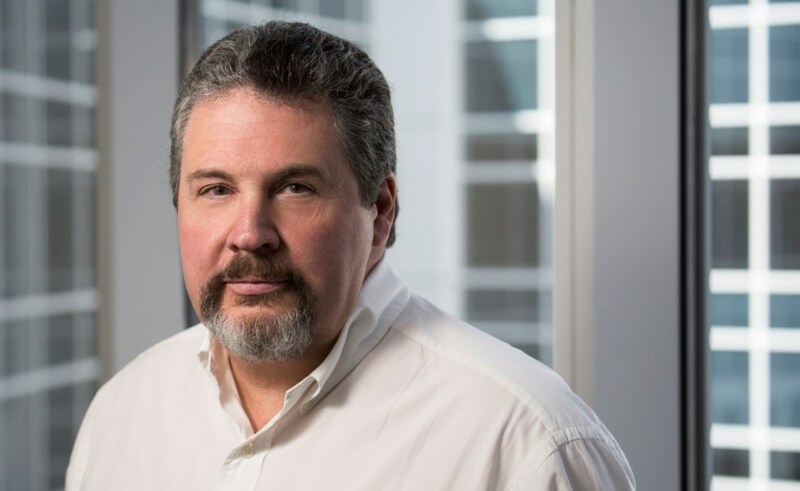 When Stewart committed to an aerospace education, he faced challenges translating his business experience to the engineering field, yet he found his schooling was still invaluable. “My degree got me a job at a local engineering company here in Houston and has provided me with the ability to earn a living wage and gain experience in the field,” he says.